Francisco Javier Rodriguez, a 24-year-old Latino, was shot and killed Saturday, Nov. 24, on Plummer Street under the 405 Freeway in North Hills, according to Los Angeles County Medical Examiner-Coroner’s records. Shortly before 7 a.m., officers from the Los Angeles Police Department responded to a call of a shooting and found Rodriguez in a tent under the freeway, suffering from multiple gunshot wounds, police said. Rodriguez was pronounced dead at the scene at 7:18 a.m., according to coroner’s records. It is unclear why he was in the area. Police said he was transient, but his family said he lived with his parents. According to police, a man described as a heavy-set Latino got out of a silver or gray sedan, opened the tent and shot Rodriguez. The man then got back into the car and fled. Richard Mendoza, a 32-year-old Latino male, died Thursday, Aug. 23, after being shot in North Hills, according to Los Angeles County coroner's records. Nick Andrew Fuentes Jr., a 31-year-old Latino male, died Wednesday, June 6, after being stabbed in North Hills, according to Los Angeles County coroner's records. Alfredo Linares, a 29-year-old Latino male, died Thursday, Dec. 7, after being shot in North Hills, according to Los Angeles County coroner's records. David Anthony Zometa, a 23-year-old Latino male, died Wednesday, June 29, after being shot in North Hills, according to Los Angeles County coroner's records. Jose Raul Zeron, a 37-year-old Latino, was fatally shot Saturday, May 14, in the 15500 block of Nordhoff Street in North Hills, according to Los Angeles County coroner’s records. About 4 a.m., Zeron and another person were walking home from a store when a dark-colored four-door vehicle approached, according to a news release from the Los Angeles Police Department. The vehicle slowed to a stop and the driver fired two shots at Zeron and the other person; then the car drove east on Nordhoff Street. Shortly after, LAPD officers responded to a call of shots fired and found Zeron on the sidewalk. Zeron was taken to a hospital, where he was pronounced dead at 4:55 a.m., according to coroner’s records. The driver was described as male and as wearing a dark hooded sweatshirt, police said. Marion Jose Habana, a 28-year-old Asian male, died Saturday, April 30, after being shot in North Hills, according to Los Angeles County coroner's records. Amier Rocky Issa, a 38-year-old man of Middle Eastern descent, was shot and killed Tuesday, March 29, in the 15000 block of Rayen Street in North Hills, according to Los Angeles County coroner’s records. Shortly before 9 a.m., Issa got into an altercation with his father, who allegedly pulled out a gun and shot him, police said. Issa was found in the front yard of the family home and his mother, Rabihah Issa, 68, was found inside the home, fatally stabbed. Martin Antonio Corio, a 38-year-old Latino, was found fatally stabbed Monday, Feb. 8 in the 8700 block of Parthenia Place in North Hills, according to Los Angeles County coroner’s records. About 10:40 p.m., Los Angeles Police officers responded to a call of an “assault with a deadly weapon,” according to a news release from the LAPD. When officers arrived they found two victims. Corio appeared to be unconscious and had suffered “numerous lacerations” to his body, according to the release. The other victim had a head injury. Corio was pronounced dead at the scene. The other victim was taken to a hospital and is expected to survive. According to coroner’s records, Corio was found in a boat in a parking lot. About 5:10 p.m. officers with the LAPD’s Mission and West Valley divisions responded to the area after someone reported a man with a knife, police said. When officers arrived, Chief Charlie Beck told The Times, Herrera confronted the officers and approached them with a hunting knife. The officers tried to subdue the man with a Taser, the chief said, but it "wasn't completely effective." Officers from the West Valley Division -- who don't yet have LAPD-issued body cameras -- were involved in the shooting, a police spokeswoman said. Rodolfo Alexander Ayala, a 39-year-old Latino male, died Wednesday, May 27, after sustaining blunt force trauma in North Hills, according to Los Angeles County coroner's records. Cassandra Marcella Olsen-Silagyi, a 48-year-old black woman, was found dead Monday, May 4, in the 8700 block of Sepulveda Boulevard in Panorama City, according to Los Angeles County coroner’s records. Olsen-Silagyi and a 58-year-old man had been sharing an apartment for about a month, authorities said. Lately, the two had been arguing because the man had tried to evict her. On May 4, police received a call from a woman who said she believed someone was trying to dispose of a body at the apartment building. Police went to the building and found the woman’s body, stuffed in a closet. Prosecutors said that Olsen-Silagyi had been dead since about May 1. Wendy Caroline Martinez, a 16-year-old Latina, was shot and killed Tuesday, March 3, in the 15700 block of Roscoe Boulevard in North Hills, according to Los Angeles County coroner’s records. At about 11 p.m., police responded to a call at a motel and found Martinez shot to death, according to a Los Angeles Police Department news release. Paramedics pronounced Martinez, of Panorama City, dead at the scene. Martinez had been visiting Louie Lopez at the motel when she was killed, according to the release. Lopez, a 22 year-old Latino, was arrested and charged with one count of murder and one count of unlawful firearm activity, according to the L.A. County district attorney’s office. He is being held in lieu of $1 million bail. 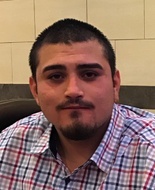 Bryan Alexander Henriquez, a 24-year-old Latino, was shot and killed Thursday, Jan. 22 in the 15400 block of Rayen Street on the border of North Hills and Panorama City, according to Los Angeles County coroner’s records. Henriquez and a 16-year-old were eating at a food truck shortly before 10 p.m., when two Latinos described as “rival gang members” confronted the teenager and began to beat him. A third Latino led Henriquez away and shot him several times, according to a news release from the Los Angeles Police Department. The teenager was also grazed by a bullet, possibly when it ricocheted off Henriquez. Henriquez was pronounced dead at the scene at 9:51 p.m., said Ed Winter, assistant chief of investigations for the coroner’s office.